VOTED BEST Roofing Storm Damage Services - Beneficial Roofing | VOTED BEST Roofing Company, Call Us Today & See Why! Have torrential rains, hail, high winds, and storms wreaked havoc on your roofing? Occasionally, Mother Nature takes out her fury on nature, leaving behind flooding, downed trees, as well as devastating roof damage. Hail and wind damage can be quite devastating to your home. Your roofing, windows, siding, and gutters can get dented or ripped off of your structure. If you have experienced roofing storm damage to your property, do not wait to call for an inspection. Beneficial Roofing contractors specialize in helping you recover from storm damage and protect your largest investment! Shingles are typically designed to protect against the weather. However, the rain, hail and wind that often accompany a storm could cause damage. It is also important to remember that not all roofing storm damage is noticeable. Even without the obvious signs, you may have roof damage and not know it! Most hail and wind damages cannot be seen from ground-level and go undetected to the untrained eye. The hidden damage can result to problems, weeks or even months, following a storm. To be sure you do not have an unseen roof problem, have your covering thoroughly inspected by a qualified contractor you can fully trust to give you an honest and transparent assessment. Missing shingles may lead to water seeping into the roof or even your house. Do your building property a favor. Fix small breaks way before they become larger issues. Beneficial Roofing takes pride in our many years of experience in storm roof repair and we are more than happy to help you fix your roof in the most effective and systematic way! If your roof starts to leak after a storm, call Beneficial Roofing immediately! We have Haag Certified roof inspectors and staff who will determine the extent of the storm damage, make a detailed plan to repair problem spots, and restore the condition of your roof – for you to regain your peace of mind! If your roof is leaking, it’s important to prevent additional damages. Beneficial Roofing is a locally owned and run company that has been assisting homeowners and commercial property owners recover from hail and wind damage for nearly 70 years. We provide emergency roofing storm damage services, tarping, and cover-up services. We will inspect your roof FREE of charge to ensure your roof structure is safe and sound. Once your roof calls for immediate replacement or repair because of severe hail or wind damage, Beneficial Roofing will be there to provide professional and quality services that are second to none. Our superior workmanship, combined with employing only the best, quality materials, guarantee that your roof will be restored to its original condition— you and your family will be safe and secure for several years to come! From protecting your valuable landscape, to cleaning up construction debris, we leave nothing to chance once it comes to customer satisfaction, as well as restoring your home’s value. The professional team at Beneficial Roofing works with insurance companies every day. We will help you! We take the hassle out of policy claims. Instead of filing an insurance claim and gathering bids from separate building contractors for the roof, gutters, siding, and windows, count on Beneficial Roofing – a turnkey contractor who can manage every step of your insurance and contracting process for you. Your roof system is imperative to the safety of your family and the value of your home or property. Let our powerful storm damage roofing repair team put your mind at ease by carrying out a thorough and professional roof storm damage inspection, and recommend the right repairs to deter future problems. 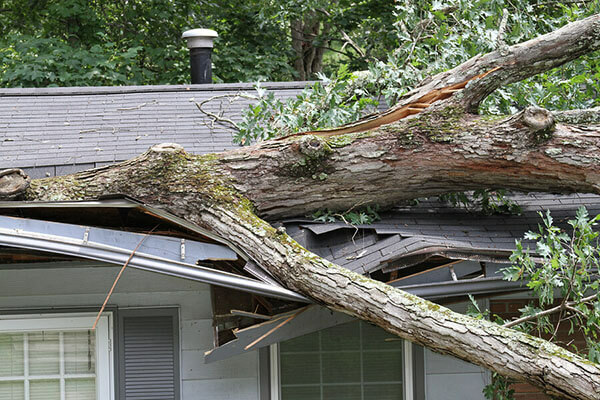 If you suspect you may have storm-related damage, contact Beneficial Roofing today. We’ll provide you with a completely FREE inspection. When you need fast, high quality repairs, we promise to be there. We always stand behind our work, and you should therefore expect brilliant service. To us, customer satisfaction comes first. We are passionate in providing outstanding work. Call us NOW!